Ob das Wetter mitmacht, ist noch nicht so ganz sicher. Bei Wärme und Sonnenschein sind wir natürlich draußen auf der Terrasse, sonst in der Nähe des Kamins. Many thanks to English and Italian to German translator Aniello Scognamiglio for sharing with me a link to the most interesting online dictionary project I've seen in a while: the "Global Glossary". The brainchild of Young, Single, Multilingual blogger Michal Boleslav Měchura, a language technologist based in Dublin, Ireland, it has a unique and useful interface. In a post last week, Michal described his 95-language project and his plans for it. 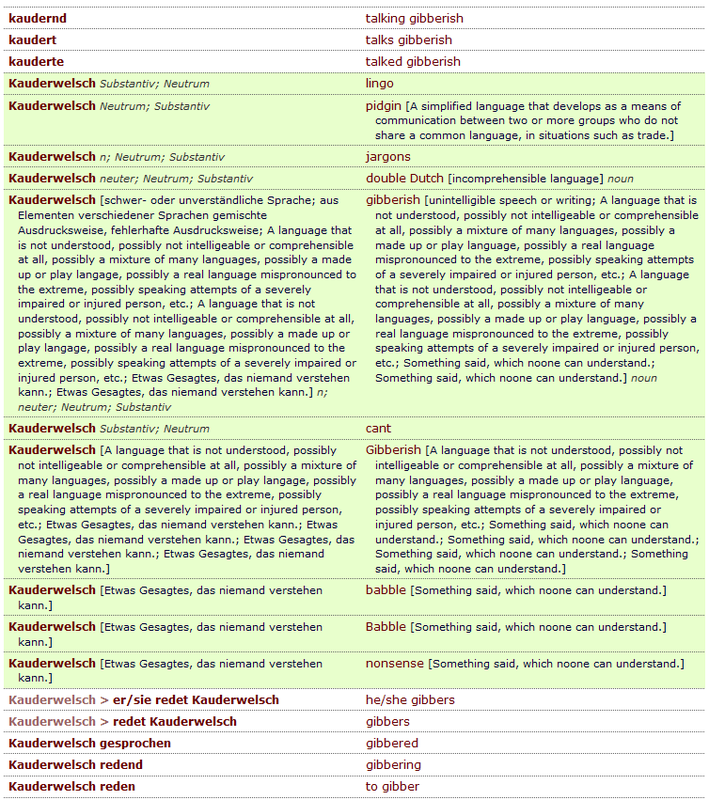 Having grown rather sick of the trashy, buggy interfaces of other online glossaries, I find his work a refreshing change of pace, and my initial tests of it suggest that it will have some value to me as a reference. Have a look!